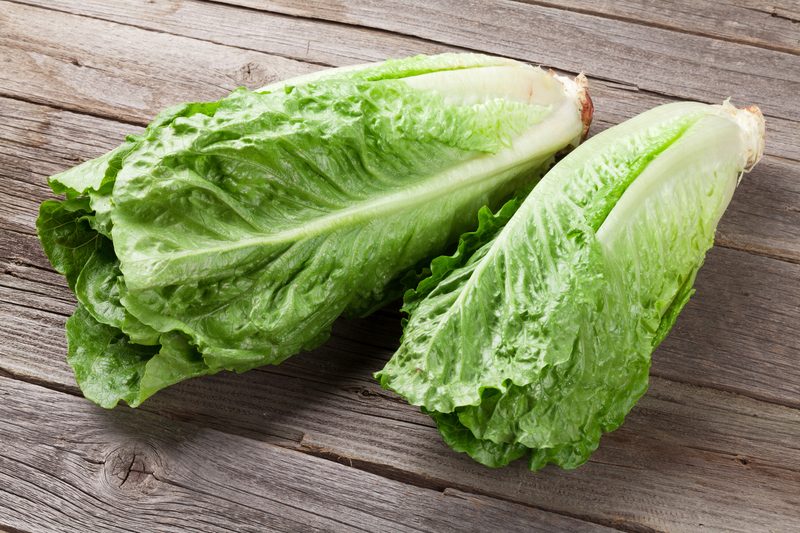 DOVER – The Delaware Division of Public Health (DPH) is advising Delawareans of a multistate outbreak of E. coli infections linked to romaine lettuce. The lettuce could be contaminated with Shiga toxin-producing Escherichia coli O157:H7 and could make people sick. To date, there have been no confirmed cases reported in Delaware, but DPH urges consumers to take precautions to prevent illness. The Centers for Disease Control and Prevention (CDC) is advising consumers, food establishments and retailers to not eat, serve or sell any romaine lettuce while the agency investigates the E. coli outbreak linked to romaine. Consumers who have any type of romaine lettuce at home – including whole heads of romaine, hearts of romaine or bags and boxes of precut lettuce and salad mixes that contain romaine – should not eat it and instead throw it away, even if some of it was eaten and no one has gotten sick. If you do not know if the lettuce is romaine or whether a salad mix contains romaine, do not eat it and throw it away. Restaurants and retailers should not serve or sell any romaine lettuce, including salads and salad mixes containing romaine lettuce. The CDC, U.S. Food and Drug Administration (FDA), Government of Canada and multiple states are investigating the outbreak. According to the CDC, no common grower, supplier, distributor or brand has been identified at this time. • 32 people infected with the outbreak strain of Shiga toxin-producing E. coli O157:H7 have been reported from 11 states. According to the CDC, nearby New Jersey has reported three cases and Maryland has reported one case. • 13 ill people have been hospitalized, including one person who developed kidney failure. No deaths have been reported. • Ill people in this outbreak were infected with E. coli bacteria with the same DNA fingerprint as the E. coli strain isolated from ill people in a 2017 outbreak linked to leafy greens in the United States and to romaine lettuce in Canada. The current outbreak is not related to a recent multistate outbreak of E. coli O157:H7 infections linked to romaine lettuce earlier this year. People usually get sick from Shiga toxin-producing E. coli two to eight days (average of three to four days) after swallowing the bacteria. Most people infected with E. coli O157 develop diarrhea, severe stomach cramps and vomiting. Most people recover within one week. Some illnesses last longer and can be more severe, resulting in a type of kidney failure called hemolytic uremic syndrome (HUS). HUS can occur in people of any age but is most common in young children under 5 years, older adults, and people with weakened immune systems. Symptoms of HUS can include fever, abdominal pain, pale skin tone, fatigue and irritability, small, unexplained bruises or bleeding from the nose and mouth, and decreased urination. People who experience these symptoms should seek emergency medical care immediately. Medical providers should report suspected cases of E. coli O157:H7 to the DPH Office of Infectious Disease Epidemiology at 302-744-4990 or 24/7 at 888-295-5156. For more information about this outbreak, visit https://www.cdc.gov/ecoli/2018/o157h7-11-18/index.html. A person who is deaf, hard-of-hearing, deaf-blind or speech-disabled can call the DPH phone number above by using TTY services. Dial 7-1-1 or 800-232-5460 to type your conversation to a relay operator, who reads your conversation to a hearing person at DPH. The relay operator types the hearing person’s spoken words back to the TTY user. To learn more about TTY availability in Delaware, visit http://delawarerelay.com. The Department of Health and Social Services is committed to improving the quality of the lives of Delaware’s citizens by promoting health and well-being, fostering self-sufficiency, and protecting vulnerable populations. DPH, a division of DHSS, urges Delawareans to make healthier choices with the 5-2-1 Almost None campaign: eat 5 or more fruits and vegetables each day, have no more than 2 hours of recreational screen time each day (includes TV, computer, gaming), get 1 or more hours of physical activity each day, and drink almost no sugary beverages.